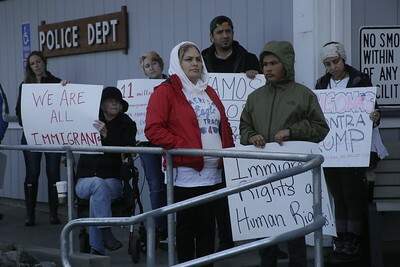 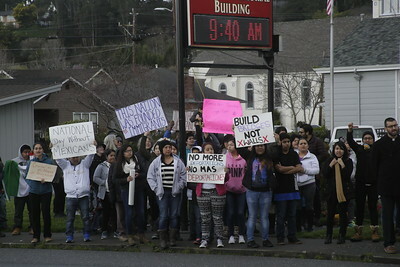 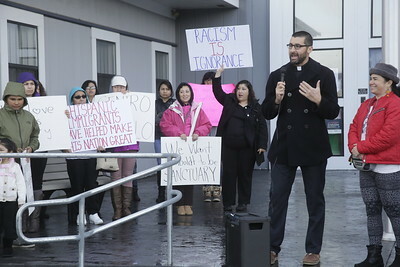 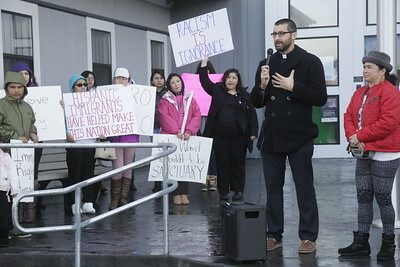 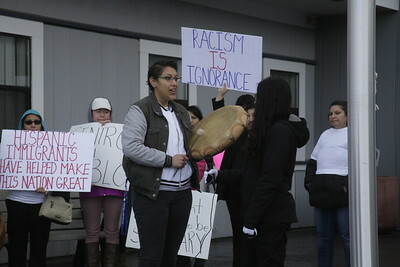 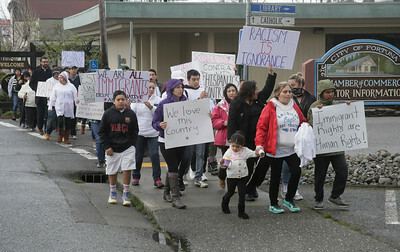 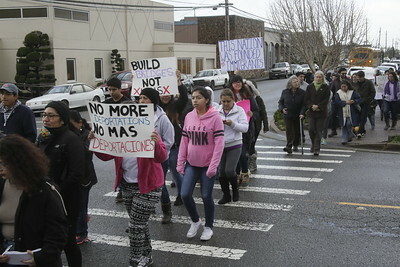 Pastor Jason Cseh of Arcata United Methodist Church and Centro del Pueblo organizer Renee Saucedo talk before the A Day Without Mexicans march in Fortuna on Thursday. 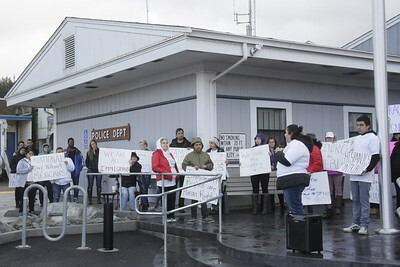 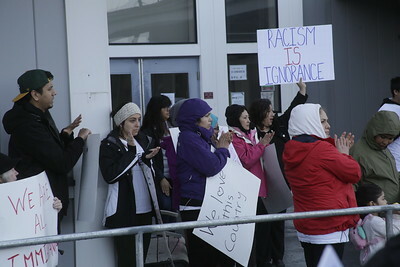 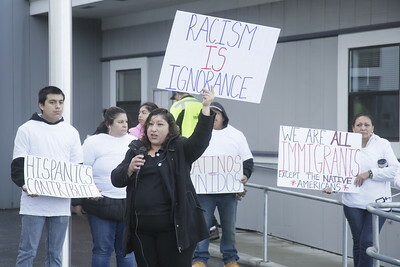 The event was part of a national march. 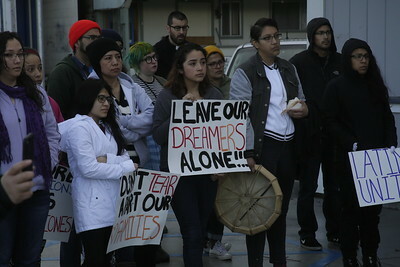 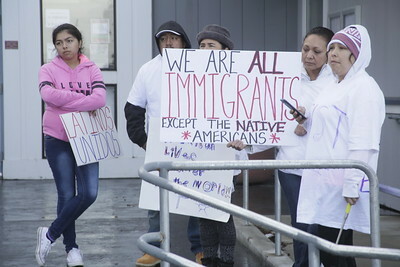 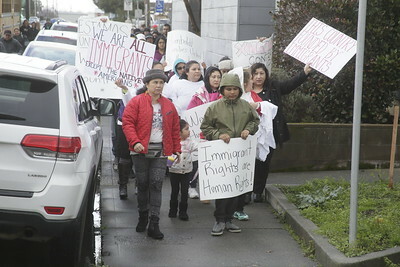 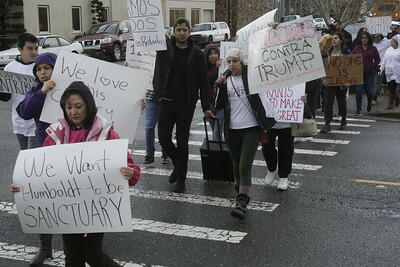 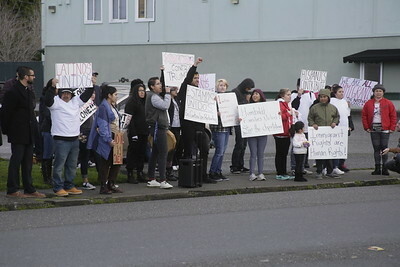 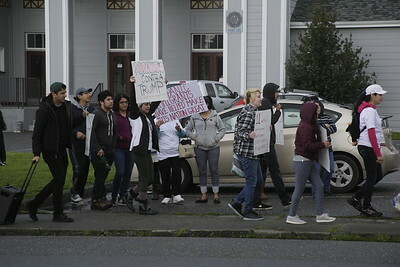 Concerned about what they see as increasing attacks and immigration actions on immigrants and Latinos, they joined protesters across the U.S. who marched or shut down businesses to take a stand.